Are you an aspiring film director? Would you like to know about the highs and lows experienced when attempting to make a film in the UK? Eight years are captured on tape here in eight minutes. Learn why Justin describes it as the worst eight years of my life that includes pain, anguish and launching his fathers ashes into space the first man in Britain to do so. 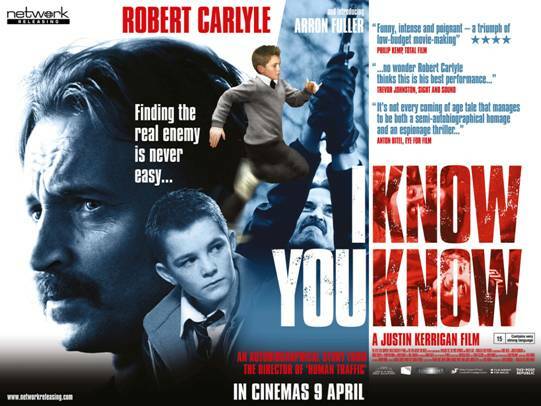 This comes ahead of the films UK charity preview screening of I Know You Know in association with the BIG ISSUE and MIND on 7th April and the films UK theatrical release on 9th April 2010. Despite being the critically acclaimed director behind cult club movie classic HUMAN TRAFFIC, these diaries highlight the obstacles and challenges UK filmmakers face before a film hits UK cinema screens and DVD shelves. 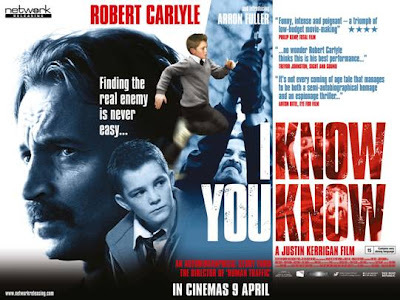 In the film Robert Carlyle plays Justins father. Hes an undercover agent, always on an important mission, always on the move. Jamie (Arron Fuller), his son, is fascinated by his fathers espionage work until the world of spies becomes all too real. Charlie is unpredictable, explosive yet kind-hearted and fiercely protective of his Jamie who hero-worships his father. More info at Network Releasing or book here!